Musician Keith Urban arrives at the 48th Annual Academy of Country Music Awards at the MGM Grand Garden Arena on April 7, 2013 in Las Vegas, Nevada. A pair of classic, straight-leg jeans kept Keith Urban's red carpet look casual and cool. 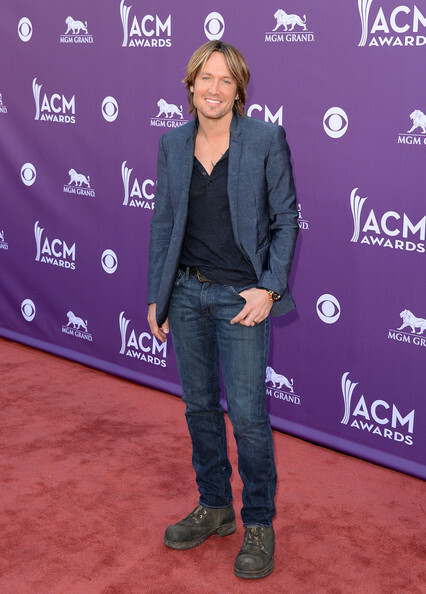 Keith Urban opted for a more casual red carpet look when he chose this blue blazer and a blue henley tee.